When cleaning the upholstery and carpets in your home, you may want to consider complementary services that will assist the cleaning to be more effective, persist longer and make you feel better at your home. These extras will cost more money in most cases, but sometimes they are required or just really recommended to provide a full and complete cleaning that will leave you truly satisfied, and not just okay with the service you received. Getting a proper cleaning is never cheap. Cheap upholstery cleaning or carpet cleaning is exactly what it is - a cheap job, performed by cleaners who are unprofessional and willing to work at low rates, and provide sub-par results. UCM Upholstery Cleaning Houston's technicians will come to your location, inspect the property and recommend the best service suited for your needs and current furniture / carpet condition. Whether it's upholstery cleaning or carpet cleaning, a protector is one of those things that is well worth your money in the long run. If you have pets or young kids, our recommendation is even stronger. Having a protector applied is a great way to keep your belongings safe and stain-free, for a longer period. Applying the protector after a professional cleaning will make your upholstery and carpet more resistant to dirt and dust, as well as repel fluids so you can blot them before they sink deep into the fibers. It's important to note that not every carpet, sofa and chair are suitable for fabric protector application. In some cases, the manufacturer already applied protector on it, and applying another protector might ruin both protective layers. If your technician doesn't check the manufacturer's instruction or is not familiar with the brand - beware as they may do more damage than good. You know that stain on the sofa you've covered for so long, so nobody notices? The wine spill from the party you had a few months ago? The red spaghetti stain on the dining room rug? Isn't it time to get rid of them? If you feel you're ready to say goodbye to the stains, this service is for you. Even the most attentive people have mishaps, and they usually happen when you have something extra stainy in your hands. If you haven't had your upholstery cleaned for a long period, it's even more likely your carpet and upholstery accumulated stains. Even just sitting on the sofa can leave stains in the long term, since body oils (or sweat) gets absorbed in the fiber. Some of these stains can be removed easily by professional cleaning, but some stains will need more attention to go away. Using special materials and the hot water extraction method, UCM Upholstery Cleaning will remove all the dirt, dust and other contaminants absorbed in your furniture. In addition, the stain removal treatment will make sure to get rid of the more stubborn stains. The most important thing in stubborn stain removal is to remove it without damaging the fabric or fibers, and leaving them looking as good as new. Not sure if your sofa's up for it? Afraid removing the stain from your carpet will make it dissolve? Don't worry. We offer a free onsite estimate and inspection to see your stains and analyze what is needed specifically for your needs and for your stains to be removed completely. Ever had a scent in your home you can't get rid of? Walked into your home from the fresh air, and noticed it doesn't smell as well inside? Either something's rotten and hiding in your home, or you just have an odor issue from stuff absorbed in the fibers of your sofas, couches, rugs and carpets. If you smoke indoors, your odor issue may even be worse. 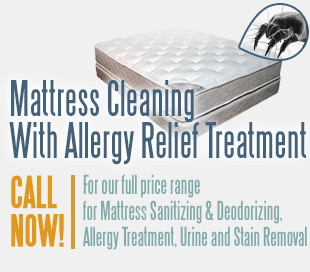 If you want to get rid of the smell fast and easy, we offer a deodorization service. The deodorization will be accompanied by professional cleaning from our experienced technicians, and they will be sure to make your home smell new and refreshed, as well as clean as it can be. You probably won't believe the difference when you walk into a fresh smelling home, not to mention the cleaning results that will come with it. You're probably wondering - but if I order cleaning that'll get rid of the smell too, right? Well, not exactly. The basic cleaning will get rid of some of the smell, but not all of it. If the smell is a result of residues in the fibers, it may come back a few days later. Or weeks, in the best case. However, well executed deodorization will be the best solution to any odor issue you have in your home, if the odor comes from your upholstery or carpets. We love pets. Some of us even have pets. Pets are great. They bring happiness and fun, and they're a great support in times of need. However, they're also a source for dander, hair, and stains on your furniture or carpets. Whether it's mud or dirt from outside, or the occasional accident involving urine, pets make us work harder to keep the home clean. And in worst cases, they even require a special recovery treatment to get everything back to good condition. Pet urine or feces can leave quite a mark on fabrics and fibers, not to mention the smell that comes with them. With years of experience, UCM Upholstery Houston will be able to treat even the hardest of stains. We will take care of current "accidents" and smells, and also treat other parts of the carpet or furniture that need attention. Having a pet around the house requires ongoing maintenance, and a periodical deep pet treatment to have the house cleaned properly and completely. With the help of UCM Upholstery Cleaning it's as simple as picking up the phone. What will we do? First we'll inspect the items to be cleaned and the home. Afterwards, we'll decide on the best treatment - which detergents or agents should be used, how to tune the hot water extraction machine, and how to best get the stains out. If pre-spray or preconditioning is required, we'll do it before we get to work. Then, we will go over your upholstery and carpets with our magic steam wand, infusing hot water and extracting all the dirt, dust and contaminants stuck in the fibers, as well as the hair, dander and urine from your dog or cat. A few hours later, the fibers will be dry, clean and refreshed so you can enjoy them again without the accompanying scent of pet residue. UCM Upholstery Cleaning Houston TX offers a wide variety of cleaning services, from basic carpet cleaning to the premium deep clean with stain removal and deodorizer. Whatever cleaning need you have, youre more than welcome to contact us by 832-220-3399 and schedule an appointment. We'd be more than happy to accompany your cleaning with any of our complementary services mentioned above - fabric protector, stain removal, deodorizer and pet stain treatment.